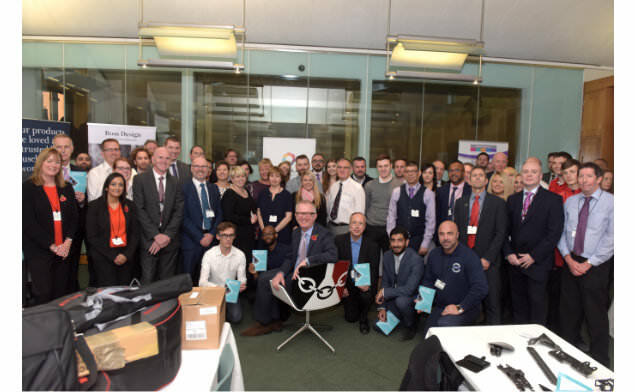 On Wednesday 1st November, we were proud to be one of 30 exhibitors supporting the local area and presenting goods manufactured in the Black Country to MPs at the Made Black Country Showcase Exhibition. The exhibition took place at the Houses of Parliament and was hosted by The Black Country LEP and Ian Austin MP for Dudley North. The day was an excellent opportunity to celebrate all the diverse and successful businesses in the Black Country, including the Black Country LEP and the Black Country local authorities; Dudley, Sandwell, Walsall and Wolverhampton. Today, the Black Country continues to be a world-class manufacturing and engineering base, one of the UK’s leading supply centres within the aerospace, automotive sectors and is renowned for its ability to drive innovation. An impressive 455,400 people are working in the Black Country and it is home to the highest proportion of high value manufacturing jobs across 7,656 businesses. Making it a real honour for our business to have showcased our manufactured goods at this special exhibition, whilst representing companies whose products are also made in the Black Country, yet sold across the world. During the exhibition, we were joined by 39 MPs including Boris Johnson, Hilary Benn, James Morris, Tom Watson, Margot James and Liam Byrne along with members of the business community who all showed their support for the Black Country by taking a look at the many fantastic products produced here. “It was an excellent event and it’s always great to showcase to our MP’s what the UK is capable of producing. The optimism around the room from businesses in all sectors was encouraging, from large PLC’s to privately owned SME’s, the sense of pride in the Black Country manufacturing industry was evident.